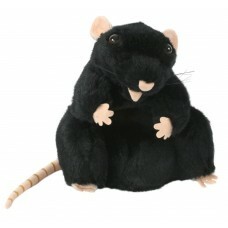 This twenty five centimetre high glove puppet friend is perfect for play or for puppet theatre. Children and adults alike are fascinated and enchanted by the magic of puppetry, and the mystical puppets from The Puppet Company take the art to a whole new dimension. Puppets encourage children to be creative, use their imagination to tell exciting stories, to bring fairy tales to life, to entertain and to have fun. The Puppet Company have been producing high quality toys for many years and have built their reputation on their ability to translate any animal or character into a beautifully made and well-functioning puppet.